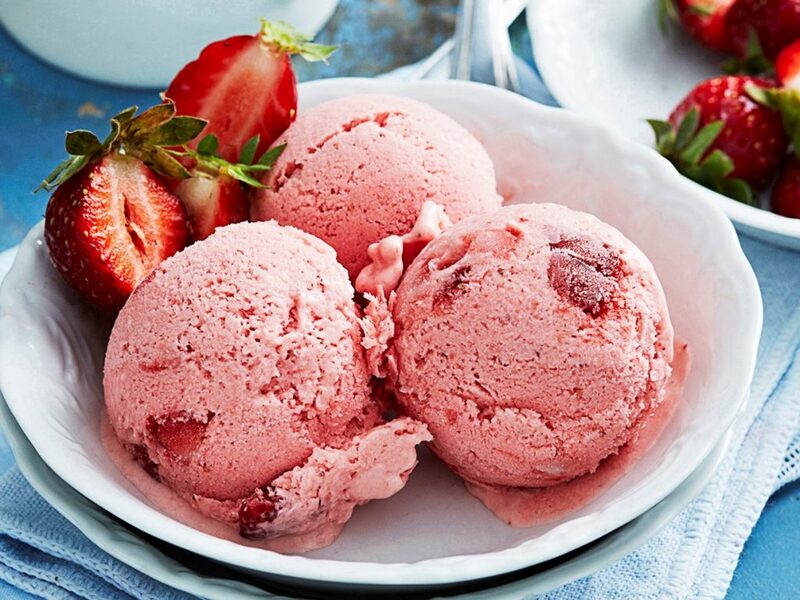 You cannot go wrong with strawberry ice-cream. An evergreen frozen dessert which can be served on all occasions. And it’s especially a hit among kids. * Wash and discard green leaves from strawberries. Grind to a puree. * Soak gelatine in 1 tbsp water. Stir on low heat till it dissolves. * Add gelatine to strawberry puree and mix well. * Whip cream with powdered sugar till thick. * Add strawberry puree to cream. Mix well. * Add crush, essence, colour and raisins. Mix and check sugar. * Beat till quite thick. Transfer to an ice cream box. Cover with a plastic sheet (cling wrap) and then with the lid. * Freeze overnight or till firm.